As is recounted in the brief paragraph at the head of page 2 of the catalogue, Star Yachts was founded in the years immediately following WWI by Franz Marie Denye, a Belgian refugee who had fled Belgium at the beginning of the war. 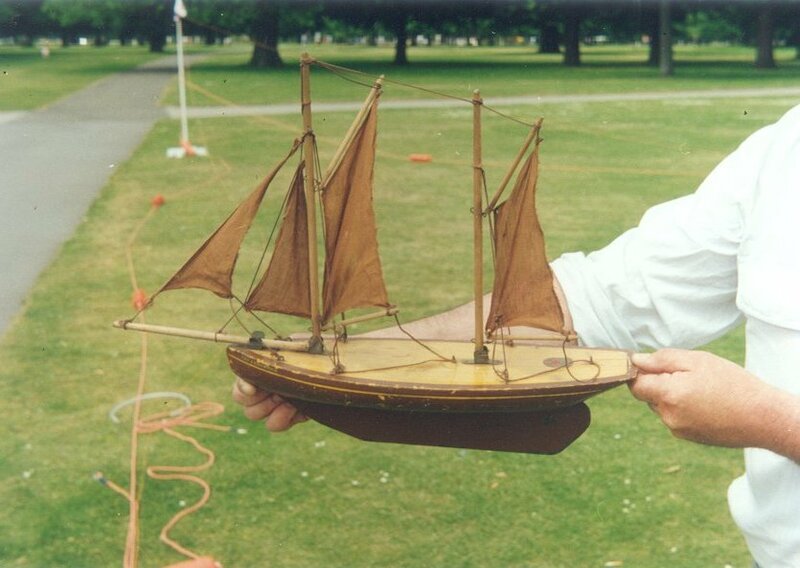 Originally a builder of full size ships, he decided that models would provide a livelihood for him and his family. This they did until the works site was compulsorily purchased to clear the site for new development in 1990. At that point the family closed the business. The factory had been demolished by 1991. There was a brief attempt to keep the name alive as the banner of a Youth Opportunity Programme project to provide work for the unemployed, but it soon folded. It is not known whether the products of the YOP project were the same as those of the original company. Production over the years was extremely varied andvery large, as is shownby the regularity with which relatively recent examples appear on Ebay and in boot sales. Apart from the last catalogue and some instructional material of comparable vintage, very little documentation has survived and we don't know a lot about the pre-war production apart from very occasional models that turn up of which we had no prior knowledge. Over the years the range has included both clockwork and steam powered boats but these are extremely rare. 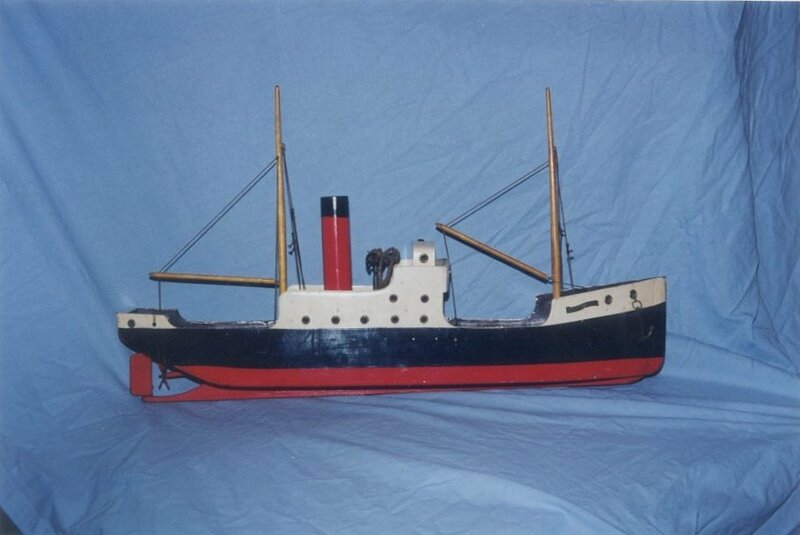 It is thought that Star produced hulls for steam powered models sold by Mersey Models of Liverpool and probably that the steam plants used by Star were made by MerseyModels. Much of the variation in production will now be impossible to disentangle, but we have some small insights. Early (pre-1939?) hulls have a rounded counter stern, but more recent (post 1945?) 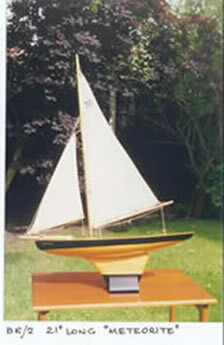 models have a square stern. [early round stern] The Star trademark logo was originally a brass pressing nailed to the deck, but this was changed at an unknown date to the more familiar transfer. 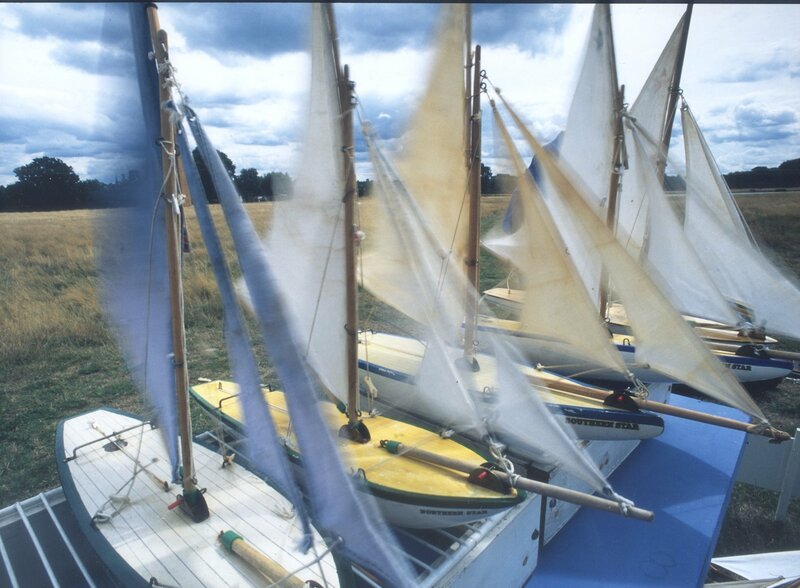 The last production run of yachts have blue sails. Names have been changed at various times, For instance SY7 yachts exist named both as Arctic Star and as Ocean Star. Whether this is a considered policy, or the result of a shortage of the appropriate name transfers is impossible to determine. The catalogue is a trade catalogue. 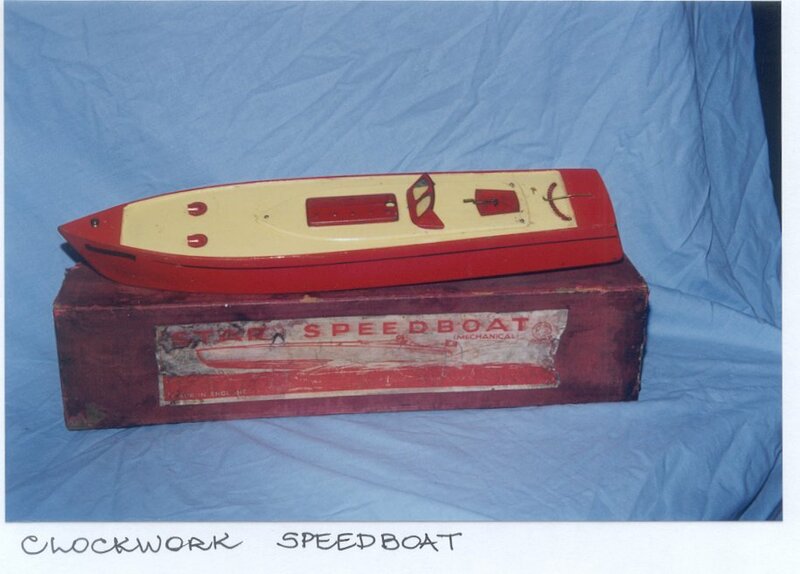 Most of the boats were sold through toy shops and department stores, particularly in seaside towns, but some of the larger boats were sold at one stage by Bassett-Lowke, who bought in a number of ranges of superior quality toy boats throughout their existence. There will be pages on Bassett's activity in the toy end of the market in due course. 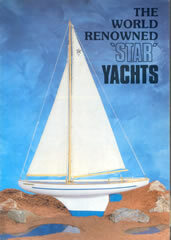 You will see that the last pages of the catalogue contain many non-boat items suitable for sale in sea side toy shops. Many of these are in plastic. It is not known whether these were moulded by Star or bought in. The absence of any plastic components on the boats and the continued availability of items such as the tower style bucket suggests that they were bought in. You can download the last colour catalogue, a price list and some sailing instructions. As the catalogue admits, the very small models are suited only for the bath. The smaller yachts struggle to perform, but the 'named' yachts generally sail well Western Star however, at 30 inches the largest yacht in the last catalogue, is a pig to sail properly. The performance is improved by moving the mast forward by an inch. 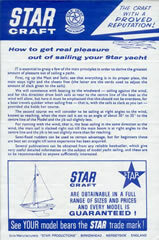 Potential collectors should be aware of Chinese copies of Star designs sold under the logo of Bosun Boats. These are not Star yachts in any sense and do not sail anything like as well as the originals. See photos of some collectors with their genuine Star yachts.